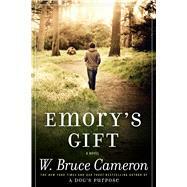 Deeply moving, and interwoven with hope and joy, Emory's Gift by W. Bruce Cameron is not only heartwarming and charming coming of age story, but also a page-turning insightful look at how faith, trust, and unconditional love can heal a broken family and bridge the gaps that divide us. W. Bruce Cameron is the New York Times bestselling author of A Dog's Purpose, A Dog's Journey, The Dogs of Christmas and 8 Simple Rules for Dating My Teenage Daughter, which was turned into the hit ABC series. He has twice received the National Society of Newspaper Columnist’s award for Best Humor Columnist and his weekly nationally syndicated column is published in more than fifty newspapers. He lives in California.